A marathon, triathlon, or other endurance event is an incredible accomplishment, no matter where you do it. But increasingly, athletes are using the opportunity to discover a new part of the country. After all, what better way to explore a new place than following a race course that highlights a city’s top destinations—all in a traffic-free setting with plenty of people cheering you on. Sure, you may not linger for very long as you run by, but that’s why you spend a few extra days to fill in the blanks. 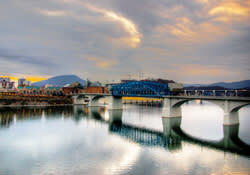 Chattanooga, with its well-deserved reputation as an outdoor destination, continues to offer athletes more and more opportunities to cross an endurance event off the bucket list while enjoying all the charms the city has to offer. Consider taking advantage of one of these five events planned for Chattanooga in 2016. This new event is designed to show off the best of Chattanooga to the running community. Created by a passionate group of local runners, the Chattanooga Marathon will be a runner-focused event with all the amenities runners expect at a big-city race. Both the full and half marathon courses offer an impressive tour of downtown Chattanooga, ending with a finish-line festival between Finley Stadium and the First Tennessee Pavilion. Race weekend begins on Friday as the race expo opens up. On Saturday, the Classic 150 5K and a kid’s run are held, followed by the full and half marathon on Sunday. If you want an event very different from traditional big-city marathon, the Raccoon Mountain Marathon and Half Marathon offers you the opportunity to explore more of the off-road side of Chattanooga. The race combines both road and trail running—and it’s not flat or fast. 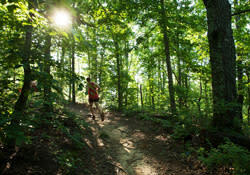 Runners will be challenged, but you’ll also get to see a beautiful and wild side of Chattanooga. For runners who want to do the race with a friend, a marathon relay is also available. Some of the top athletes in the world come to town for the annual Ironman Chattanooga triathlon, an impressive endurance test for any athlete. 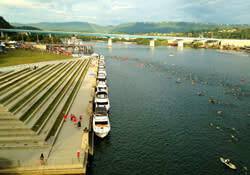 The race starts with a point-to-point 2.4-mile swim in the Tennessee River. Next comes a 112-mile bike ride that takes the athletes from downtown to two scenic loops through North Georgia with impressive views of the mountains and countryside. The race ends with a full marathon—that’s 26.2 miles—on a downtown course. The spectators throughout the day are amazing, and the race has become one of the most popular on the Ironman circuit. Visit the spectator’s guide to get a full understanding of this impressive event. 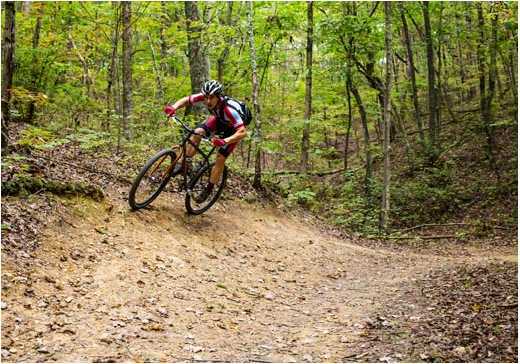 RiverRocks, a sports festival that occupies nearly the entire month of October, is filled with ways to get out and enjoy the outdoors in Chattanooga. Athletic competitions include rock climbing, trail running, kayaking, rowing, cycling, mountain biking, and paddling, targeting both expert and novice competitors. 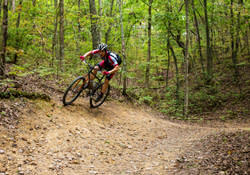 Some highlights include the ChattaJack31 paddling race, the Stump Jump 50K run and the 5-Points 50 mountain bike race. In addition to the sporting events throughout the month, the festival also includes entertainment like live music and movies. It’s truly a celebration of Chattanooga and the outdoors that brings the best of both worlds together. In the fall, the Seven Bridges Marathon has established itself as a staple on Chattanooga’s race calendar. The event features a marathon, half marathon, relay and 5K family run. 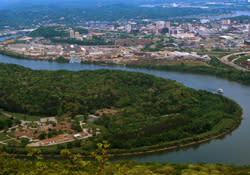 In the full marathon, runners will cross the Tennessee River six times on the course that winds through the city. You’ll pass the Tennessee Aquarium, AT&T Field, the Creative Discover Museum, the Hunter Museum of American Art and other Chattanooga landmarks before finishing in front of the Carousel in Coolidge Park.